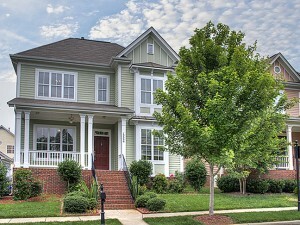 Gorgeous Home for Sale with Master on the Main in Monteith Park: View Overlooks the Walking Trail! Gorgeous Home for Sale with Master on the Main in Monteith Park: View Overlooks the Walking Trail!Southern charm at its best! Stunning Saussy Burbank home on a premium lot across from Monteith Parks walking trail; you have no homes hindering your porch view! Relax on your front porch as you sip on some cold lemonade and enjoy your piece of paradise! Glowing hardwood floors surround the living room, formal dining, kitchen and breakfast nook. Cozy up to your fireplace on a cool evening and enjoy all this incredible home has to offer. Your spacious kitchen has nooks and crannies for all your storage needs; 42 cabinets and loads of counter space make this the perfect kitchen for cooking and gathering with friends. Decorative wainscotting at your bar and in your half bath has been added for that elegant touch. Your formal dining is off the kitchen which is perfect for entertaining family and friends. Dont forget to sit a spell in your breakfast nook, a perfect spot to enjoy overlooking your backyard. Your large master retreat with brand new carpet is on the main level with a walk in closet and dual sinks. Your separate master shower and garden tub are a great place to relax at the end of a busy day. Upstairs you have two secondary rooms with spacious closets and ample room; you also have a loft which is a perfect flex space. Dont forget your bonus room which is ideal for a kids play area, game room or just another great spot to hang out. You also have walk in storage space, perfect for those boxes that you want to store. What a coveted floor plan in Monteith Park, 3 bedrooms PLUS a bonus and loft! This well maintained homes front porch and back patio have been recently painted along with fresh paint around the home. New HVAC coils along with recent pressure washing makes this home shine! This tranquil, fenced in backyard has been landscaped beautifully and has been well cared for; these sellers are original owners of this beautiful home and it shows! Dont forget to check out Monteith Parks lovely amenities. You have a scenic walking trail to enjoy all of the lush landscape of the community, play ground, club house that is perfect for holding events, multiple flat commons areas around the community to enjoy walking your dog or playing with the kids. Monteith Park also has a junior Olympic size pool with a waterslide and a childrens wading pool. 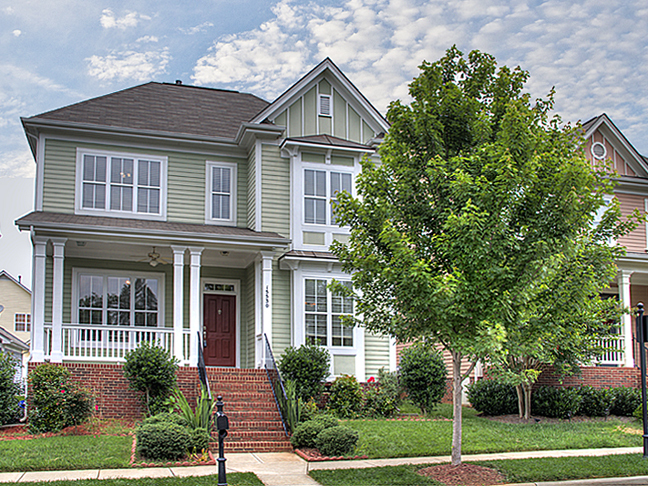 15530 Waterfront in Monteith Park is convenient to highway access, great schools, downtown Huntersville, Discovery Place Kids Museum, Birkdale Village Shops, Lake Norman and a 20 minute commute to Uptown Charlotte! Please contact Alyssa Roccanti (704) 654-9305 or alyssaroccanti@gmail.com for all of your real estate needs in Monteith Park or the Lake Norman Area. Feel free to check out these great homes for sale in Monteith Park.